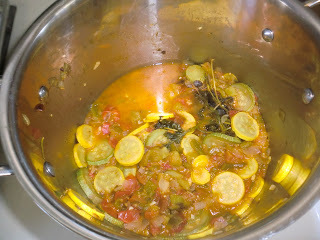 I actually paid money to go to a cooking class this past Saturday! It cost more than a couple meals at the local 'Cafe Rio' here in Utah Valley. However, I learned a lot and the food was delicious. It was driven by Raw Melissa and taught by Jenny Johnson of Delightful Delicacies. The class was held at Jacob's Cove Heritage Farm, where they specialize in heirloom crops of tomatoes, squash and other seasonal favorites! We She made Chipotle and Lime Baba Ganoush, Pumpkin Cardamom Rolls, Weeknight Ratatouille and Naked Apple Galette! I would have to say that the Ganoush was my favorite because it is so good on crackers and who knew that roasted and mashed eggplant could be so delicious? 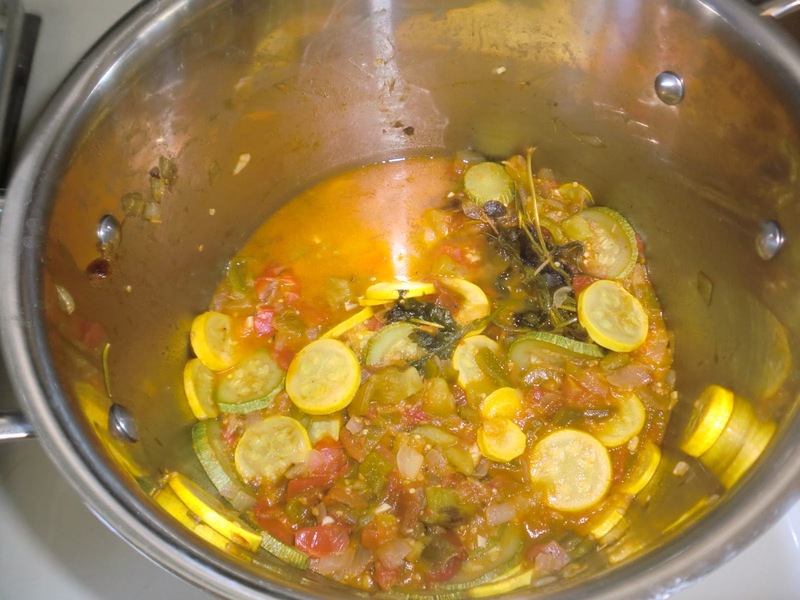 A close second was the Weeknight Ratatouille, with plenty of garlic, onion and roasted green peppers. 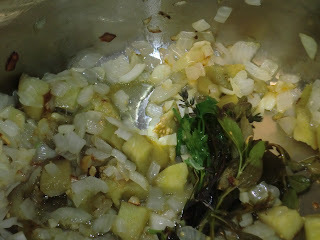 She demonstrated how to make a beautiful herb bouquet or garnier consisting of fresh thyme, rosemary, parsley oregano, basil and bay leaf, which was thrown into the pot to simmer with all the vegetables. 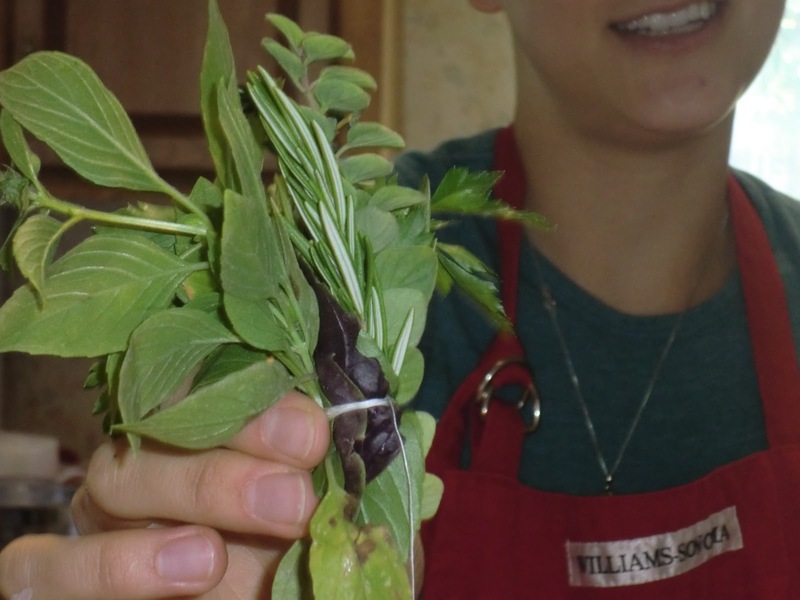 Adding an herb bouquet adds interesting flavor to otherwise mundane flavor mixtures! This food was all vegetarian and was so filling and yummy! I would definitely do this again! I would really love to try the Ganoush too..
Umm, hello? Pumpkin cardamom cinnamon rolls? Yes, please! Thanks for the visit and the follow from TAT! I'm following you right back! Can't wait to check out your blog! This looks and sounds delicious - I LOVE eggplant, I think I'd love the ganoush! My mouth is watering ... that looks and sounds so good. We love baba ganoush ... it's also great on top of baked potatoes. 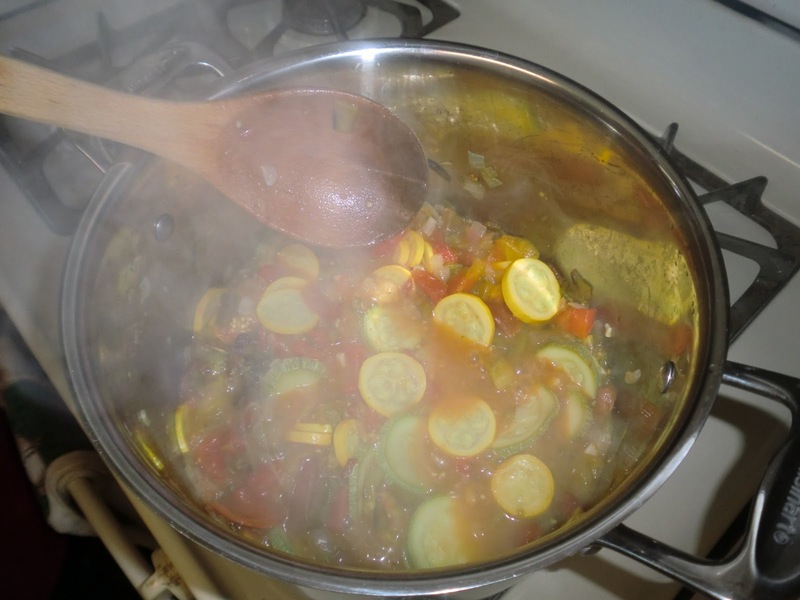 And ratatouille is my favorite go-to meal when my day has been hectic ... it's easy and such comfort food. Id also love the Pumpkin Cardamon rolls...recipes? The other food makes my mouth water. Something about pics of actually COOKING and not just plopping on a plate really GET me! I have always wanted to take a class. Looks like fun! Sounds delicious! I love baba ganoush together with hummus, tabbouli and garlic sauce on pita as a snack, and I'd love to learn how to make my own! Would love to hear more about the roasted & mashed eggplant. 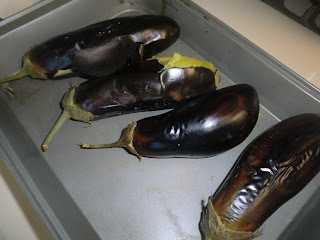 I've always wondered how best to cook eggplant and if it's as simple and easy as I think it should be. I could use a lot more vegetarian recipes! We're too hooked on meaty dishes in our house. hmmm a herb bouqet - what a cool idea! I think that might work for decorations also, besides for cooking. I like the idea of putting all the herbs together so you dont have to dig them out of the pot separately later! I've always wanted to try Ratatouille! I'd love to go to a cooking class sometime. I love watching cooking shows on TV and learning new recipes and techniques. The Pumpkin Cardamom Rolls made in your class sound interesting! WOW! how FUN!!! 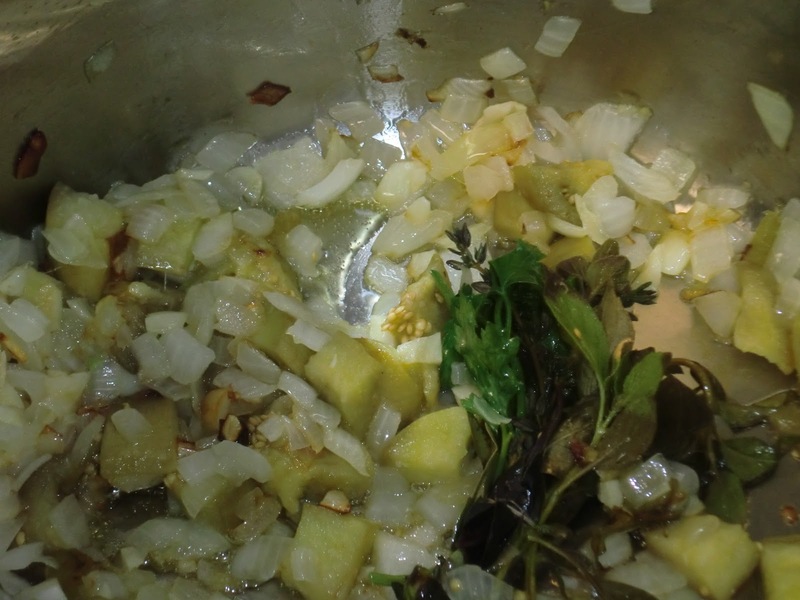 I love cooking and think that you can always learn something new by taking a cooking class. I would LOVE to try the Pumpkin Cardamom Rolls! Sounds delish! I always wondered about abetter way to fix eggplant!